Many have seen me use mind mapping in meetings, workshops, brainstorming sessions and even in project planning. 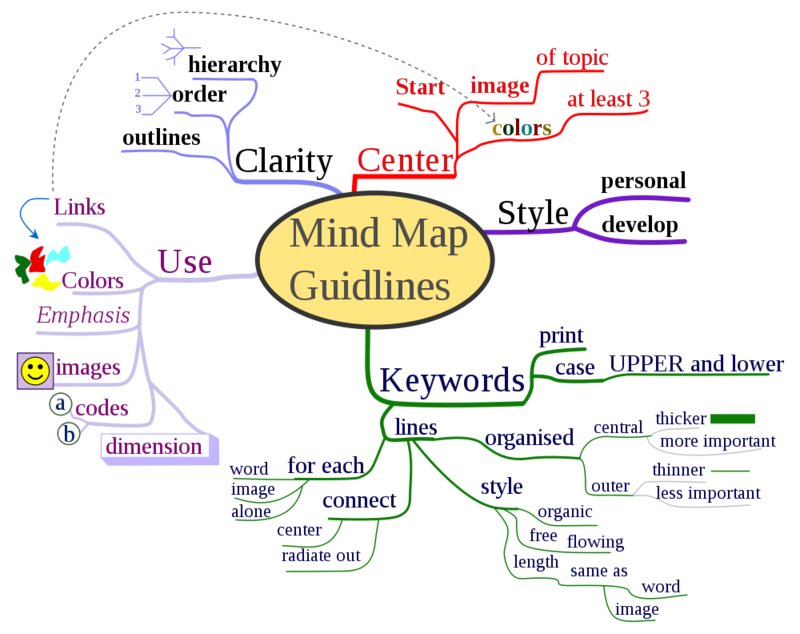 Now what many don’t know is how and when to use mind maps. So I’m going to share with you some quick insights on its origin, usage and basic guidelines. “Min-Map” as a term was made popular by Tony Buzan in Britain in the 1950s though the term itself was present before. Nevertheless, visual representation of information is not a novel idea, it dates back to the third century when Porphyry of Tyro, a philosopher, graphically represented Aristotle’s concepts. Back then they knew the value of graphical representation of ideas and it’s still valid till today…people retain graphical information more than textual. Obviously the list is not exhaustive, but it gives you a good idea of where to start. Now if you’re planning to do a mind map, here are few recommendations by Buzan himself (with personal amendments) to ensure you’re utilizing it well. Start with a word or image at the center. Use not only words but also images, diagrams, drawings or anything that helps in expressing. Switch between Upper and lower cases when needed to stress on some main ideas. Each word/item is to be put on a line by itself, they don’t like sharing the same line. All items must be connected starting from central idea/word/image and growing outwards, no hanging fruits. Draw thicker/longer lines for more “important” ideas. Use different colors for branches, ideas..etc. to stress on differences. Try out several small mind maps to find your style before you start using it for business or studying. I hope the above helped a little bit and I wish you the best of luck in mapping your mind!